G & H Pawn is the Puget Sound's #1 Buyer of precious metals including Gold, Silver, Diamonds and Platinum from the general public. To sell your gold, please visit www.evergreenfinejewelers.com or call 1-877-458-5904 for more information. Since launching in 2007, G & H Pawn has provided walk-in services to hundreds of customers who have received thousands of dollars in return for broken or unwanted gold, silver, Diamonds and platinum items. With a locally recognized brand and as the Puget Sound's #1 buyer of precious metals direct from consumers, the company has spawned an entire industry of walk-in Customer Instant Cash based on its innovative business model. G & H Pawn is currently in the midst of an national expansion that will enable customers across the state to utilize the quick, easy, safe and 100% satisfaction guaranteed service for which the company is known. 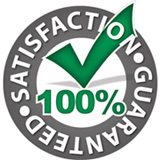 G & H Pawn is overwhelmingly popular among customers who have used the service − over 93% of customers who receive a G & H Pawn Cash choose to complete the sale of their items and spend the money on more important needs. G & H Pawn has completed over 10,000 transactions to date. The company has forged relationships with its customers founded on enduring qualities such as security, honesty, transparency, convenience and confidentiality. Above all, G & H Pawn is committed to providing the highest level of service to everyone who decides to utilize its services. G & H Pawn is proud to work in close partnership with law enforcement agencies in Washington State and all across the State, and the company regularly receives high commendations from police forces. G & H Pawn is headquartered in Everett, Washington where over 5 employees work in a 2000 foot location with Buying, Selling and Trading facilities located under one roof. The office provides the necessary infrastructure for continue growth and will set even higher industry standards for quality control, efficiency, security and customer satisfaction while providing expanded local employment opportunities and ensuring the company's position as the industry's pioneer and leader. Visit G & H Pawn's website at www.evergreenfinejewelers.com or call 1-877-458-5904. First, customers request online or via phone the price we pay for precious metals including Gold, Silver, Diamonds and Platinum. Once customer arrives on site, we here at G & H Pawn's inspect the customer's precious metals and Pay the customer Cash on the Spot for their Gold, Silver, Diamonds and Platinum. Customers also have the option of going online on our website, making a Live Chat or Contact us request for quote of their products, once they approve our price, we will send them USPS Shipping label with signature required. Once we have received customers Gold, Silver and Diamonds, we will send them a company check or send them money via PAYPAL. G & H Pawn was derived from a small 300 sq foot store in Lynnwood to a 3 location Puget Sound Business. Since our inception, we have grown into one of the largest and most respected precious metal refineries in the Greater Seattle Area and Snohomish County. We are listed on all major Search Engines and all Major Local Review and Reference website for our type of Buying and Selling Gold, Silver, Diamonds and Platinum. BBB had given us A+ Rating and recognized G & H Pawn as one of the top companies to watch in 2013 with expanding with further location to serve all of our customers in the Great Seattle Area. G & H Pawn purchases second hand jewelry for refining. Prices are based solely on the weight and karat grade contained in the jewelry. The company does not generally pay for gemstones other than small diamonds. If you wish to sell your fine jewelry, such as estate pieces, diamonds over 1 carat and fine time pieces, you can obtain a quote on possible value by contacting our website, www.evergreenfinejewelers.com by Calling us 1-877-458-5904 or emailing sales@gnhpawn.com.